Visitors to our Red Hen website, as well as new and existing customers often have questions about our products, as well as questions about cameras and GIS-related topics. Check out the topics below and see if you can get your question(s) answered here. GPS stands for Global Positioning System. A GPS receiver uses an array of navigational satellites in the air to determine time and position on earth. What does MediaMapper Mobile do? MediaMapper Mobile is a mobile application that runs on an Android device (tablet or phone) to capture and geotag photos and videos. It also captures features of interest, takes audio notes, stores sensor data, and controls external equipment such as Laser Range Finders and DSLR cameras. Plus, it allows the camera to perform intervalometry— taking photos at specified intervals. What is the output video format from a GEM2MISB conversion? GEM2MISB converts the GEM video or video/XML sidecar pair to produce output that is a KLV-encoded MPEG-2 Transport Stream, conforming to Motion Industry Standards Board (MISB) standards. We refer to this output video as MISB-compliant Full Motion Video, or MISB-compliant FMV, for short. This is the process originally developed by Red Hen Systems for associating the WHAT (videos, photos, and audio), with the WHERE (geographic location) and WHEN (date and time). After media has been geotagged it can be used and shared within digital mapping programs. I’d like to watch my MediaMapper Mobile videos on a Windows system, rather than my Android device-what can I do? MediaMapper Mobile videos are viewable using Red Hen Systems isWhere software. Not only can you watch the video, you can see the path where it was captured on Google Earth. Why do I need to convert a GEM video to MISB-compliant Full Motion Video format? When you capture and geotag your video with a COTS camera and GPS unit, or with an Android device running MediaMapper Mobile, the resulting geotagged video is in GEM format. However, if you plan to view the video in ESRI ArcGIS for Desktop or PAR viewing application, the video must be in MISB-compliant format. Use GEM2MISB to convert your GEM video to MISB-compliant full motion video format. How is GPS information embedded into video? The Red Hen Systems video mapping system present in the VMS-333 embeds the NMEA-formatted GPS data into the left audio channel of your video camera. The right channel is available for recording dialogue or commentary during the recordings if you are using the appropriate communications equipment. Why does it take a long time for MediaMapper to connect to an external GPS device when using a Nikon camera with a Blue2CAN attachment? Turn OFF the camera and pop the battery cover to make sure Blue2CAN is powered OFF. Power ON the external Bluetooth GPS receiver. Perform Bluetooth pairing, if necessary. Go to the Setup > GPS tab and put a checkmark next to Use External Bluetooth GPS and select the GPS device from the pull-down list. Return to the MediaMapper Mobile Home screen and wait for the GPS service to start. Then wait for MediaMapper Mobile to connect to the external Bluetooth GPS Receiver. Wait for MediaMapper Mobile to establish a GPS fix. Finally, re-insert the camera battery, shut the battery door, and power ON the camera. What video formats does GEM2MISB convert? What formats of GPS files work best with Red Hen products? GPX and NMEA track logs files work best. What kinds of cameras can MediaMapper Mobile control? Nikon and GoPro cameras work fine. If you choose a different camera, you must use MediaGeotagger to synch the track log with the photos that were taken in order to geotag them. How to transfer an Iswhere license? The license ID and password you received earlier can now be used to activate a different installation of Iswhere. How can I convert a GPS file (track log) to a format that Red Hen products understand? Red Hen products understand XML-delimited GPS files. Use a software tool like GPS Babble, to convert the file to a standard format. You can then use MediaGeotagger to synch the GPS file with the photos(s)or video to geotag the media. Why doesn't my KML or KMZ file show up on the map? It takes time to build the route on the map, so you may have to wait awhile. The amount of time can depend on phone type, other apps running in the background, and how long your track is. If waiting does not work, you may need to restart your mobile device. Why is Google Earth hanging or crashing when I try to play a geotagged video in IsWhere? 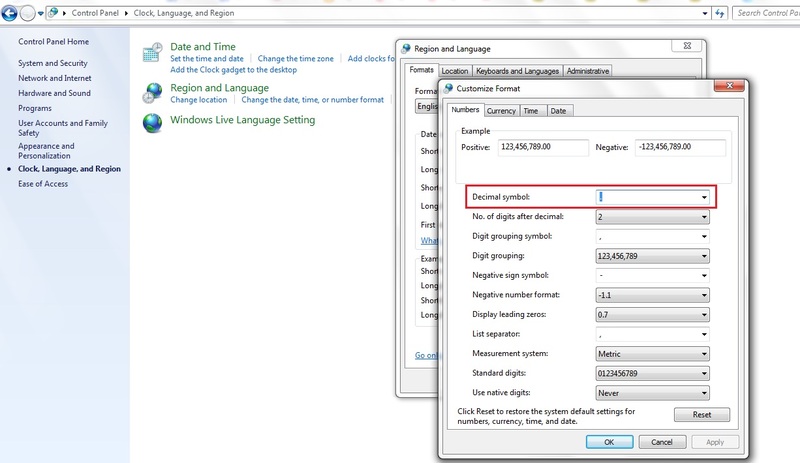 - Changing your PC's region and language settings to use a period (".") instead of a comma (",") for the decimal place. - Updating Google Earth to the most recent version. - If Google Earth crashes by itself upon starting up you may need to run the 32-bit installer of Google Earth. How do I register my MediaMapper 5.3 software? Please see our software registration help page. IsWhere software lets you view geotagged photos and videos and see their locations on Google Earth. How well does MediaMapper Mobile work with devices that are connected via Bluetooth? MediaMapper Mobile generally works quite reliably with various Bluetooth devices. However, some reliability issues do exist with Blue2CAN, Laser Range Finders, and Nikon cameras. This means it may take awhile to establish a connection or connections may be intermittent. For tips on what to do when connection problems exist with Laser Range Finders or Nikon cameras, please see related questions under Cameras and Laser Range Finders. What kind of photos can I view with isWhere? The photos must be geotagged. This means they must be JPG images with GPS information embedded in their EXIF headers. If the photos are not already geotagged, but were captured while a GPS receiver was present, you can later retrieve the photos from the camera and use MediaGeotagger to synch up the track log of the GPS receiver with the photos. This geotags the photos so you can view them with isWhere. How do I preserve battery life when using MediaMapper Mobile in the field? Disable any background services after you are done using them, such as Bluetooth and GPS. Use a dedicated device (Android tablet) rather than an Android phone. Carry a mobile power supply to extend battery life. Why does it take so long to connect my Nikon to MediaMapper via Blue2CAN? If this is the first time you are powering up your camera, the Bluetooth connection between MediaMapper and the camera (via the attached Blue2CAN) may take up to 2 minutes. Make sure the camera is within Bluetooth communications range of the Blue2CAN attached to the Nikon—usually 10 meters or less. Note: Blue2CAN will attempt to connect the Bluetooth GPS receiver (either in your Android device running MediaMapper Mobile or an external receiver) for up to 10 minutes before it times out and gives up. What kind of videos can I view with isWhere? The videos must be geotagged. This means the must have been recorded in stereo using a camera with a microphone port. If the videos were captured with VMS-333, the GPS information is embedded in the audio channel. If the videos were captured with MediaMapper Mobile, the GPS information is stored in sidecar XML files. If the videos were captured by a camera hard-wired to the VMS-333, the GPS information will be embedded in the audio signal. If the videos were captured by a camera that does not accept stereo microphone input, then they have no GPS information embedded in them. However, if the video was recorded with a GPS receiver present, you can later retrieve the video from the camera and use MediaGeotagger to synch up the track log of the GPS receiver with the video. This geotags the video so you can view it in isWhere. Note: MediaGeotagger does not care about the audio for the videos you intend to geotag. The stereo microphone input only matters if you are using a VMS unit with your camera. The VMS-333 captures what you see with an off -the-shelf camcorder, video recorder, or Nikon DSLR camera (with a memory card or hard drive). It also captures what you say, via a headset and microphone. You can even take still photos of points of interest and make audio notes about them. The VMS-333 automatically geotags the captured data with location and time information, using a GPS receiver. The resulting video can be viewed in isWhere, also allowing you to view the path followed during video capture so you can see the exact location of every video frame. What can I do if MediaMapper Mobile cannot connect to the Blue2CAAN attached to the camera? Turn OFF and then turn ON Bluetooth from the Android Settings screen. Remove and re-insert the camera battery and power ON the camera. Worst case scenario, you may have to use a different Android device for running MediaMapper Mobile. Why do I get a "no connection" message with my laser range finder? Start MediaMapper Mobile and go to the Setup > GPS tab. Put a checkmark next to the Connect to Laser Range Finder checkbox and select the correct Laser Range Finder from the pull-down list. Wait 5-10 seconds for MediaMapper Mobile to connect to the Laser Range Finder. Note: To determine the connection status, go to the Setup > GPS tab and look at the Status indicator beneath the LRF entry. If you still do not have a connection, go to the Android Settings screen and turn OFF Bluetooth. Wait 10-15 seconds and turn ON Bluetooth. Then repeat steps (1 – 4). What kind of video cameras can I use with VMS-333? Any camera with a microphone input port that records in stereo will work fine with VMS-333. If you choose a different camera, you must use MediaGeotagger to synch the track log with the video that was taken in order to geotag all its frames. Why does my Nikon quit getting GPS information when using the Blue2CAN? Make sure your Nikon camera is set to receive GPS. If you camera is in Power Saving mode, the GPS receiver turns off, so you may have to periodically take a picture or change the settings so the camera is no longer in Power Saving mode. The internal GPS receiver on your Android device (running MediaMapper Mobile) may not be getting a GPS fix. Go to the Home screen and press GPS Details and Points of Interest. Then press the Satellites to make sure you are getting a fix. This screen shows you the number of satellites and their respective quality of data received. You need a minimum of 4 satellites to have a position lock. Make sure there are no obstructions over you GPS receiver, since obstructions can interfere with the quality of the GPS signal or completely prevent a GPS lock. MediaGeotagger easily guides you through the process of matching a GPS track log from most off-the-self GPS units with the captured digital media such as videos, photos and audio. It then creates sidecar XML files with the GPS information in them, rather than embed the GPS information into the photo EXIF headers or the video audio channel. What do the port letters mean on the VMS-333 box (A, B, C, D)? These are the basic functions for the ports: 'A' connects to the cabled feature trigger. 'B' connects to the GPS receiver. 'C' connects to an available power supply of the aircraft, vehicle, or vessel. 'D' connects to the headset to record what you say. Note: Some ports may serve multiple purposes. For details, please go to the Red Hen website, scroll down to Hardware Manuals and refer to the VMS-333 User Guide, "Task 3.1 Identify the VMS-333 components." Why am I getting GPS signal interference when using a Red Hen product and a video camera? The camera and the GPS antenna may be too close to one another causing inaccurate GPS information. Why would I want to geotag my media? Whether for business or personal use, there are an infinite number of reasons you might want to view and share your media within the context of a map. Instead of just a file you can view or play, you now have "random spatial access" to your media using a familiar map interface like Google earth or ESRI ArcGIS. When should I use the thumb trigger vs. the button trigger on the VMS-333 box? The button trigger on the VMS-333 box is useful when the box is close enough for you to easily push the trigger. The thumb trigger is useful when the VMS-333 box is in a location that is not easily accessible to you. You can use both triggers if you need to differentiate between two different types of features of interest. The features noted with the thumb trigger will appear as one type of icon on the map, and those captured with the button trigger on the VMS-333 box will appear as a different icon. Note: It's always best to make audio notes as you press either trigger to indicate what you are seeing. Why is my camera turning off randomly? If you are using a SONY block camera in a helicopter, a radar transponder signal may be interfering with the camera. Do I have to have Red Hen Systems' specialized video and photo mapping hardware to use MediaGeotagger? Not at all. That what makes it so great. It is a software-based solution. Use the GPS unit and digital cameras you already own! It comes with VMS-333 and is an application that runs on a mobile device and controls the VMS-333 via a Bluetooth connection. With VMS-Mobile, you can set intervalometry parameters, control remote cameras, mark features, download maps, and more. “Codec” stands for “coder-decoder” (the plural is “codecs”). It is a program that encodes (compresses) and decodes (decompresses) a digital data stream or signal. A codec shrinks large video files (compresses), and then makes them playable again on your computer (decompresses). When you view video data in a media player, codecs are used behind the scenes to decompress the video and then display the content in the WMP viewer. What video formats does MediaGeotagger understand? MediaGeotagger accepts any video format that your computer can accurately play. For example, MOV, MP4, AVI, MPG, etc. This list can be very long, but the main point is that if a computer can play the video, MediaGeotagger can most likely handle it. When should I use VMS-Mobile to note features of interest? If you need to differentiate between multiple features, consider using VMS-Mobile. The mobile application lets you program up to 11 buttons, where each button represents an individual type of feature. When you see a particular feature, you press the corresponding button. This information is then stored in the NMEA track log so that you can note the coordinates of different features. Note: When you view the track log on a map, icons for various features will appear the same, so you will need to check the NMEA file for clarification. Why doesn't my video play properly? If your video plays, but skips or has inconsistent flow, you may be missing a filter. If your video shows discoloration or interference, there may be a conflict between multiple codecs or one of your codecs may be broken. In either situation, you may have to remove the currently installed codecs and start installing the necessary codecs from scratch. If the video has other problems, it may require specific hardware to play, such as a special graphics card, more RAM, or a high performance CPU. Sometimes, closing other background applications may help. Note: For details, please go to the Red Hen website, scroll down to Software Manuals and refer to the isWhere User Guide, "Section 3. Troubleshooting." Why can't I import my video into MediaGeotagger? When you reach the "Calibrate Device: Set Time" step of geotagging video with MediaGeotagger, and your video doesn't play or render, reconfigure the codecs and filters on your PC or check to see if your video is corrupted by playing it in VLC. MediaGeotagger expects certain codec configurations. If you do not have the correct codecs installed on your computer, MediaGeotagger will not be able to import the video. Note: For details, please go to the Red Hen website, scroll down to Software Manuals and refer to the "isWhere User Guide, Section 3." I would like to geotag video, but the VMS-333 is too big for my purposes. Is there something else I could use? Whether you plan to record the flight of a UAV (unmanned aerial vehicle) or video a trip on foot, there is a smaller device you might want to use—the VMS-AB. The VMS-AB is considered a smaller sized version of the VMS-333, with limited functionality. The VMS-AB can only embed GPS data as an audio signal to a video recording—very simple, but still very useful—and it is the size of a small PC board (about 2 square inches and about a 1/4 inch thick). Note: If you do not use VMS-AB, and instead only use a video camera and a GPS receiver, you can always use MediaGeotagger later to synch up the track log with the video. Why are there artifacts in my video? If you see various artifacts in your video (for example, scattered pixels, shadows, grid patterns, or garbled graphics), it is possible that the codecs your PC is using are not the "ideal" codecs for playing the video. It also possible that one of your codecs is broken. In this case, you may need to uninstall and reinstall the codec or use a different codec or filter. Finally, the video may be corrupted. To determine if this is the case, play the video in a player with built-in codecs such as VLC. If artifacts still appear in your video during playback in VLC, it is likely the video is corrupted. Check the state of your camera and recording devices. Note: For details, please go to the Red Hen website, scroll down to Software Manuals and refer to the isWhere User Guide, "Section 4. Codec Configuration. " My camera or software already provides a GPS "overlay" on the video, why would I want to use MediaGeotagger? MediaGeotagger allows you to actually "index" the video so you can bring it into digital mapping software, where the "path" of your video collection is represented on a map. You may then click any point along the "path" to access your video at the location and time. While valuable, "watermarking" or "overlay" solutions are still making just a movie with data on the screen. How to remove an isWhere license? Enter in the activation code that was used to activate software in the "Activation Code" field. Save the presented removal code and press "ok"
GIS stands for Geographic Information System. This type of software lets you display and analyze features and events (both man-made and natural) and view them on a map. What operating systems does MediaGeotagger work on? MediaGeotagger works on Windows XP, and Windows 7! Why isn't my video compabible with GEM2MISB? If you have a GEM video that hasn’t been working with GEM2MISB. Convert the video with FFMPEG - a GEM2MISB preprocessing tool for videos that are not MISB compliant. Download for free. How do I register MediaMapper on Windows 7? Find either MediaMapper or ArcMap in the program list. Right-click on the program name and go to properties. Click on the compatibilty tab. Check the box for operating the program in compatibility mode, XP, service pack 3. THEN, start the registration process for the Red Hen program, following the instructions found here.